Webpack might seem daunting to get into at first, especially if your first encounter with it is within an already configured project. 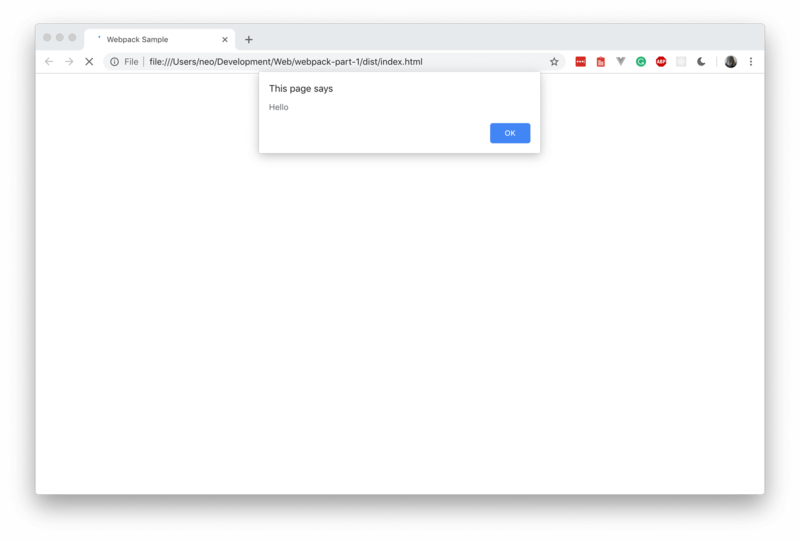 In this tutorial series, we will be looking at webpack from scratch so it won’t be as confusing as looking at an already configured webpack file. We will proceed using mini projects so you can understand the basics of webpack and how it can be beneficial in your project. If you are into web development, you must have, at some point, heard about webpack. Webpack is a module bundler that is used during development. It can take your modules and bundle them into static assets seamlessly. As seen from the image above, we have several modules with dependencies on the left and when they are run through webpack, they are compiled down more familiar assets like js, css, jpg, and .png. However, this is not all webpack can do. Webpack is a very robust bundler and it is extensible, thus, it can do a whole lot. Node.js (>=6.11.5) and npm installed locally. See next section on how to install if you haven’t. Let’s get started with the series. In case you have not already installed Node.js and npm on your local machine, let’s do so. If you have it installed, then you can skip this part of the tutorial. Download the Node.js installer here. Install Node.js using a package manager. Install Node.js using NVM (Node Version Manager). NVM is the recommended way to install Node.js as it allows you have multiple versions of Node.js installed on your machine. It also allows you switch seamlessly between the installed versions. Now that you have Node.js and npm installed on your local machine, let’s create a simple web application and compile it using webpack. 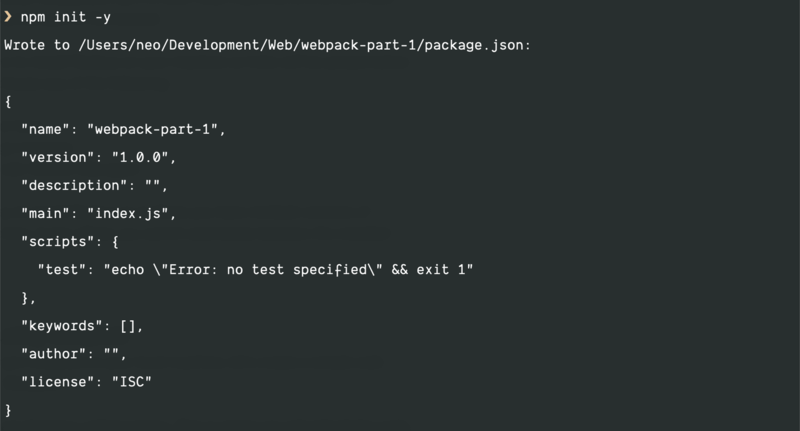 This is a simple alert that we will just use to test and see if webpack will compile the application. This will create a package.json file in the root directory of the project. Next, let’s install webpack to the project. 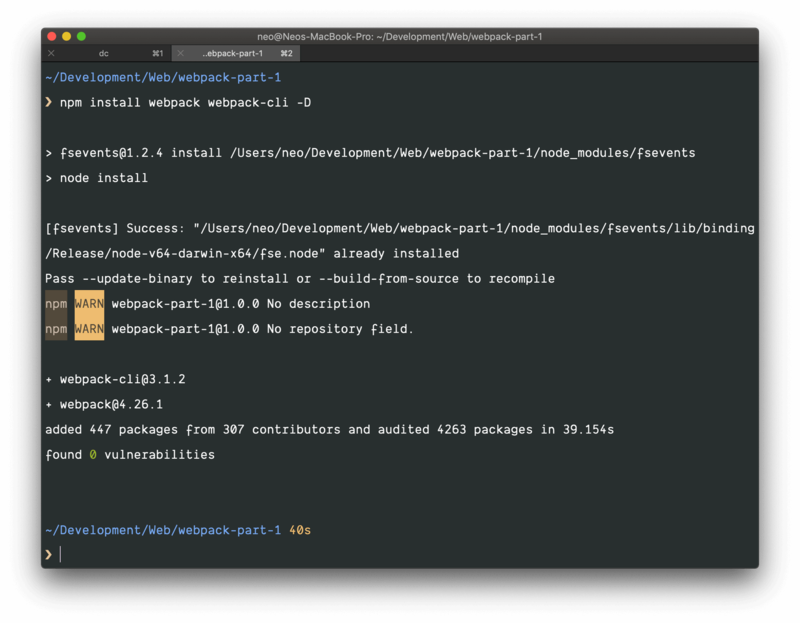 There are two ways you can install webpack: globally or locally (per project). In this tutorial, we will be installing it locally. 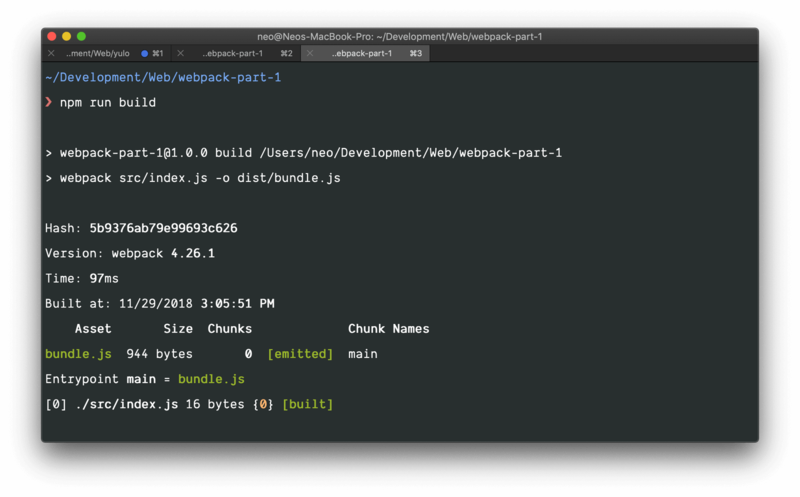 After the installation is complete, you will see that both webpack and webpack-cli have been added to the devDependencies list in the package.json file. As of the time of writing, the current version of webpack is version 4.x. Setting private to true makes it impossible to mistakenly publish the application to the npm directory. The command above will bundle src/index.js into dist/bundle.js. If you installed webpack globally, you can just replace node_modules/.bin/webpack in the command above with webpack. You can also use the npx package that comes by default with npm > v5 using this command: npx webpack src/index.js -o dist/bundle.js. 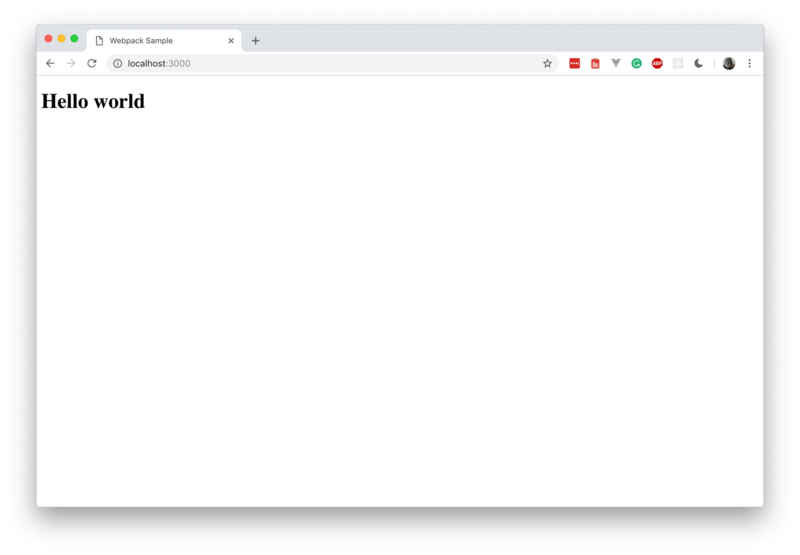 Now that we have the application showing, let’s set up a simple Node.js server so we can easily access the page using a localhost address. Initialize npm by creating a package.json file. This will start a new Node.js server and the application will now be available on http://localhost:3000. Now that we have the application running on our Express web server, let’s look at some ways we can improve our development process. If you take a look at the package.json file in the root directory, you will see a scripts object with a test key. We can add custom scripts to this list and then call them with the npm run script-name command. We can take advantage of this feature to make the webpack command a little easier to remember. "build": "webpack src/index.js -o dist/bundle.js --mode=development"
As seen above, we have added the build key with the command we want to run. In this case, it’s the command to run the webpack bundler. When specifying commands in the scripts section, we can omit the node_modules/.bin part of the command as npm is intelligent enough to check there first. This will build the webpack application just as it did before. As it stands, we still have to manually run the npm run build command every time we update the script. This can get tiring quickly. To remedy this, webpack comes with a --watch flag. This flag will keep the terminal active and watch for changes in the filesystem. When it finds changes, it will run the webpack bundler again automatically. Above, we added a watch script to the scripts. 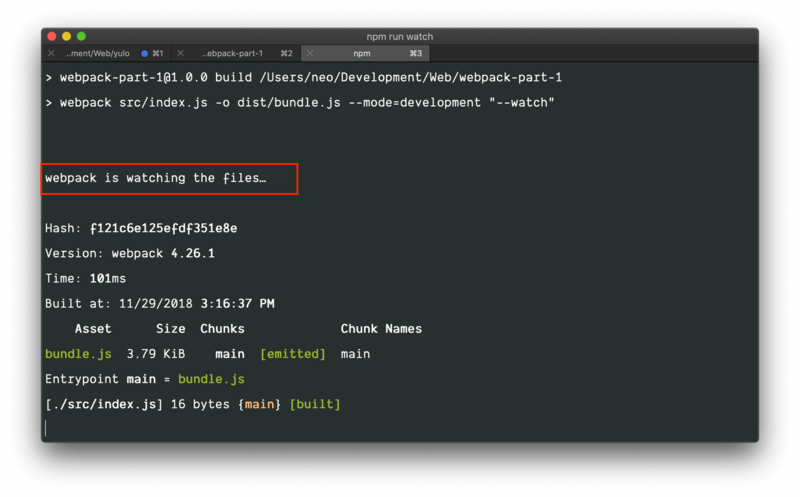 However, we are not entering the entire webpack command again, instead, we are using the existing build command and adding the --watch flag to it. We added the extra -- because npm requires it to pass extra arguments. See explanation here. When you save, the script should automatically recompile and you should see the changes when you look at http://localhost:3000. In this part of the series, we have learned the very basics of webpack and how we can get started without any configuration at all. However, webpack is a lot more powerful than this. We will dive a little deeper in the next part.